Take your mouth to Mexico without the flight! 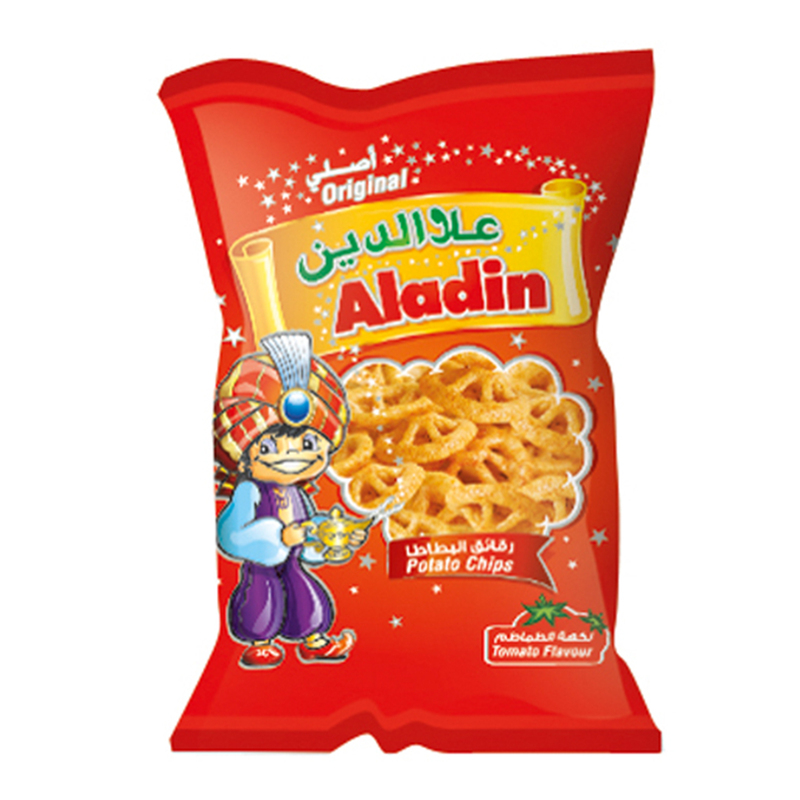 With natural cheese flavouring, a unique Mexican spice blend and a sprinkle of chilli powder, our melt in your mouth Mexican Cheese flavour Aladin Potato Chips pack a serious ‘queso’ punch! Aladin Aladin Potato Chips – Mexican Cheese (15gm) 15gm Packet. 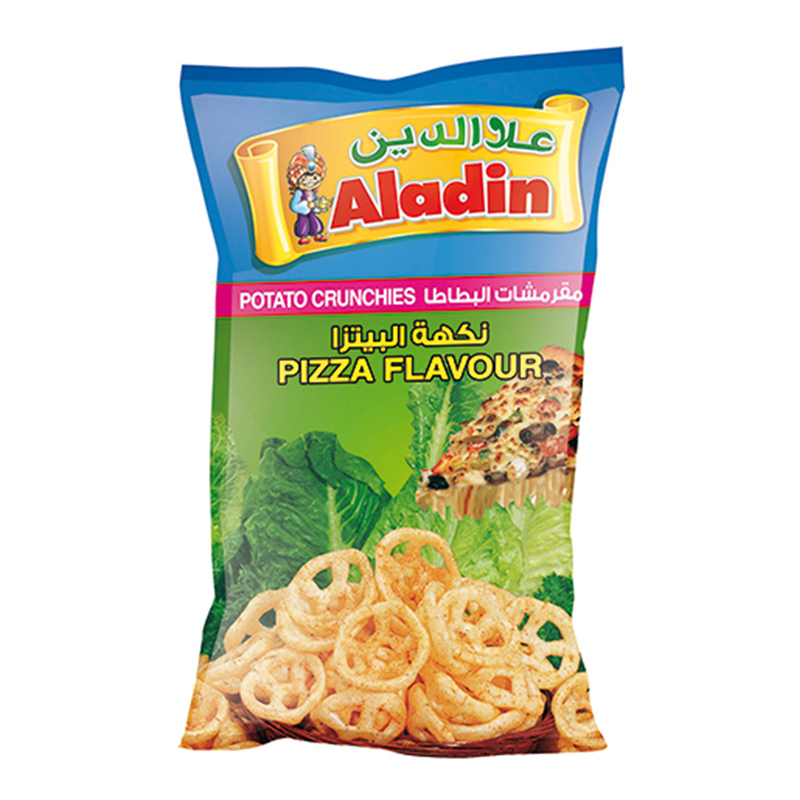 Potato Snacks, Non GMO, No Preservatives, No Artificial Flavours, No Artificial Colours, No Transfat, No Cholesterol, Halal. 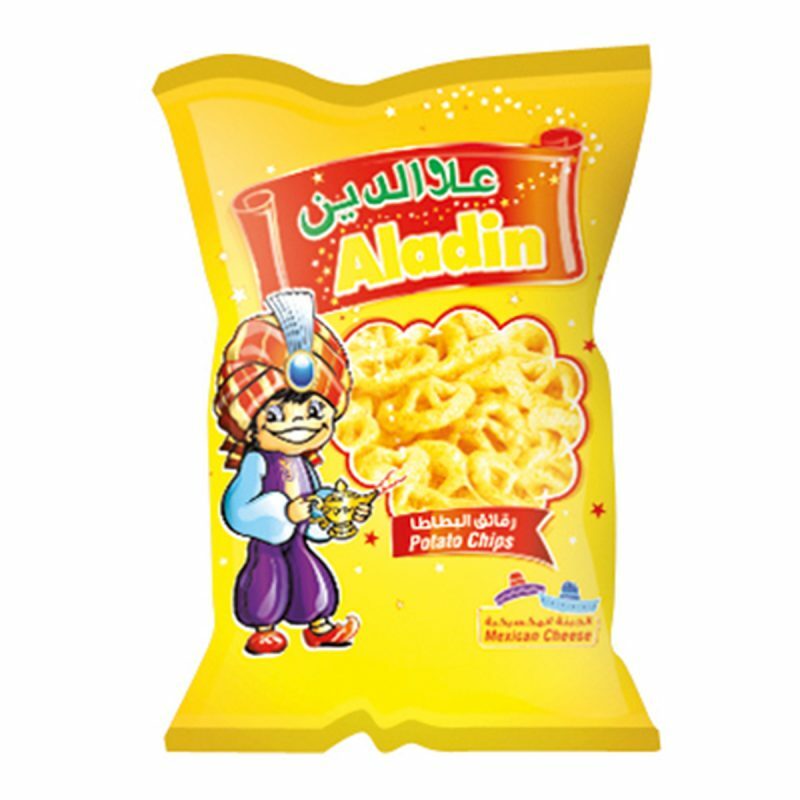 Potato solids, wheat flour, palm olein oil, tapioca starch, salt, flavour enhancer (E621), dehydrated onion, spices, sugar, chilli powder, whey powder, natural cheese flavours, acidity regulators, natural colours (E160b, E160c).